Alberta’s energy watchdog is seeking broader powers over corporate takeovers after the bankruptcy of a private Chinese natural-gas producer exposed gaps in provincial regulations, its chief executive officer says. The move follows the sudden demise of Sequoia Resources Corp., which filed for bankruptcy last March after amassing thousands of distressed wells and other facilities burdened with major cleanup costs in a series of deals. The biggest share of the company’s wells were acquired in a corporate transaction with Perpetual Energy Inc. and are now the subject of a lawsuit launched by Sequoia’s bankruptcy trustee. A pumpjack sits decommissioned at a well head on an oil and gas installation near Cremona, Alta., in October, 2016. Jim Ellis, CEO of the Alberta Energy Regulator (AER), said the AER had limited authority to review the deal, which was structured as a purchase of shares of a Perpetual subsidiary. That meant it avoided a tougher solvency test designed to ensure financially shaky companies aren’t loading up on high-liability assets. “For the AER, this situation has exposed a gap in the system and raised questions with respect to how we better manage liability in the future,” he said in a letter posted on Wednesday on the regulator’s website. It is unclear exactly what powers the regulator is seeking; a spokesperson did not immediately return a message seeking clarification. The comments come amid an unprecedented bid by Sequoia’s bankruptcy trustee to have the 2016 sale of Alberta gas wells annulled on grounds Perpetual and its CEO, Susan Riddell Rose, knew the transaction would sink the buyer. In the alternative, PricewaterhouseCoopers is seeking $217-million in damages on behalf of Sequoia’s creditors, including the AER, which is currently on the hook for $225-million to decommission Sequoia’s sites. Perpetual, controlled by Calgary’s Riddell family, has denied any wrongdoing and says the action is without merit. 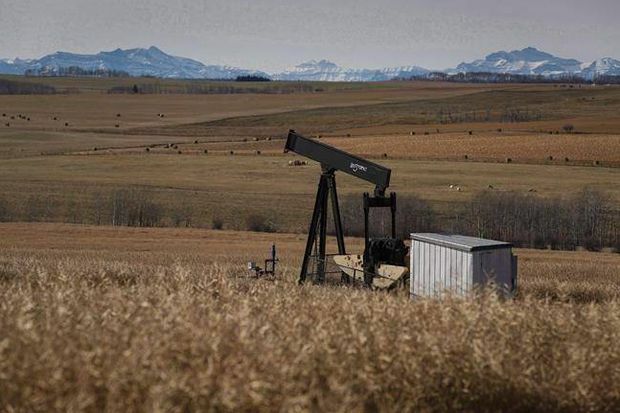 Concern over how to manage a spike in aging wells and other defunct facilities has seized the energy industry and prompted the Alberta government to launch a wider review of environmental policies in a bid to address the problem. The regulator currently assigns each producer a liability management rating (LMR) that measures a company’s assets against the cost of cleaning and abandoning wells and other operations. Banks closely watch the system as a measure of creditworthiness, but the LMR has been criticized for low-balling liabilities and inflating the industry’s overall financial well-being. The AER has also taken flak for signing off on sales of distressed oil and gas assets in which the buyer lacked the capacity to ultimately clean up properties – according to its own measure of financial capability. The regulator says it is in the early stages of piloting a new system to identify financial risks. Rob Wadsworth, the AER’s vice-president of closure and liability, said on Wednesday the new apparatus would address industry concerns that toughened rules could make it harder for the capital-starved sector to secure financing. “It doesn’t mean that we’re going to be giving visibility or transparency to the banks or anyone else other than to the individual companies,” he said. He was speaking at an information session for executives to discuss ways to accelerate cleanup of wells for which there is no legal owner.